This gorgeous Thanksgiving theme oven door towel, is all about being thankful for friends. The towel has a bottle of wine, wine glass, and a piece of pie, as well as fall leaves. It reminds us to eat drink and to be thankful for friends. 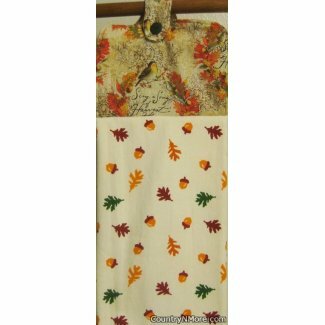 For the top of the oven door towel, we used a colorful fall leaf print. All of our oven door towels have a button closure, so that your towel remains in place. The towel used for this hanging oven door towel is by far one of the best towels that we have used thus far. The quality is superb. 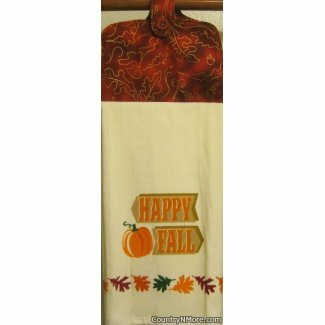 Just in time for Fall, is this lovely pumpkin and leaf oven door towel. The towel lets us know that it is time Fall, with the words Happy Fall, the pumpkin, and the orange, burgundy, and green leaves. The beautiful Fall colored material top fits so well with the tones in the towel. We used a very high quality kitchen towel as well as a button closure. 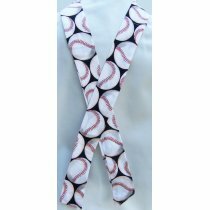 You will be sure to have your kitchen towel handy when you need it. There is only one oven door towel available. It is perfect for welcoming the Fall season. Just in time for the upcoming Christmas holiday season, is this cute Snowman oven door towel. 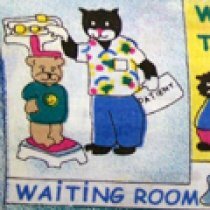 The towel features a large snowman, who is all decked out with a vest,, scarf, and hat. 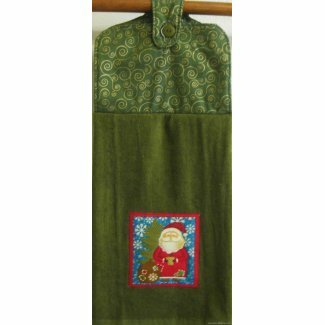 The border at the bottom of the towel has the phrase, "Happy Holidays," while the fabric top was made using a ornament theme print. Some of the ornaments are decorative, while others have, peace, noel, joy written on them. We use full length towels for our oven door towels and every oven door towel has a button closure. 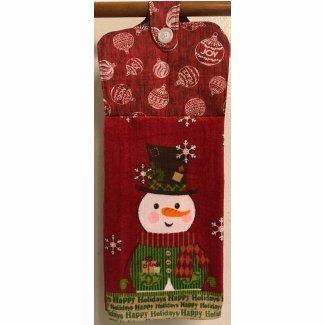 This cute snowman towel, is perfect for hanging on your oven door handle during the winter and Christmas holiday season. The oven door towel measures 19 inches long. 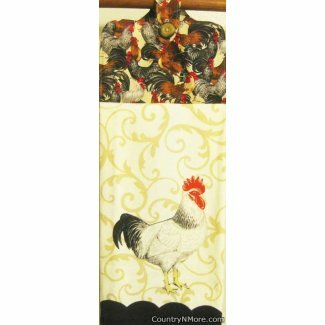 This hen hanging oven door towel is perfect for the country kitchen. The off-white kitchen towel focuses on a large white and black hen. 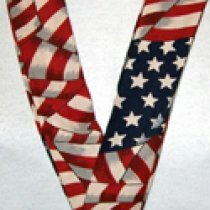 Along the bottom is a black decorative edge, while the towel has a scroll design in the background. We used a chicken and rooster print for the top. All of our oven door towel feature a button closure, so that your towel will be there when you need it. The towel will stay in place. This oven door towel is perfect for the coffee drinker. The towel has cups of coffee, like Espresso, Caffe Latte, Cafe au Laiet, and the house blend. 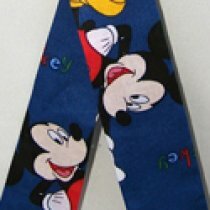 The towel is made from lightweight cotton. We used a coffee name print for the top of this oven door towel. 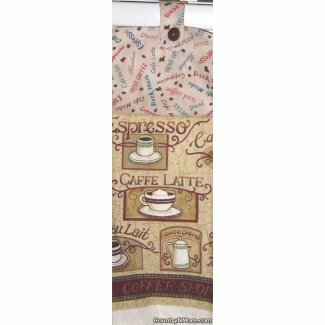 The fabric top has the all time favorite coffees, such as Espresso, Cafe Latte, Dark Roast, Irish Coffee, Macchiato, Iced Coffee, Cafe Mocha, Decaf, etc. Every oven door towel has a button closure. 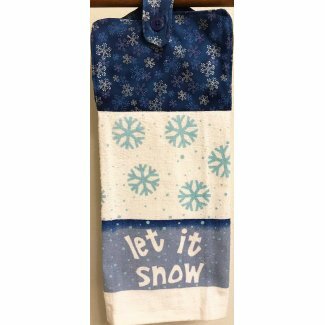 The snow will be falling soon, but that does not matter for this cute winter snowflake oven door towel. 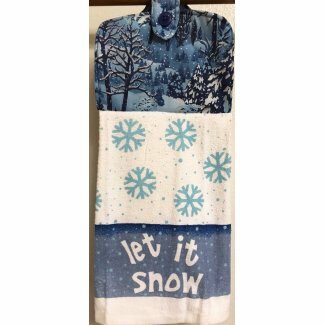 The hanging kitchen towel has the phrase, "Let It Snow," with gorgeous turquoise blue snowflakes. We used a sparkly snowflake print for the fabric top and this just could not be any cuter. 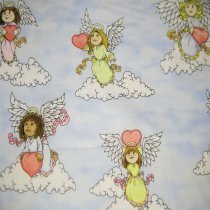 The full length towels are made using a lighter weight terry cloth. The button closure assures that your towel will not fall off. The towel measures 19 inches long. 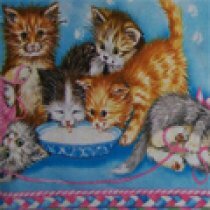 This oven door towel is perfect of decorating your kitchen during the winter and Christmas holiday season. 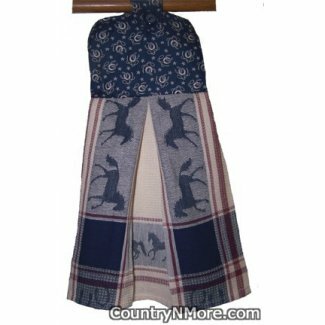 The snow will be falling soon, but that does not matter for this cute winter snowflake oven door towel. 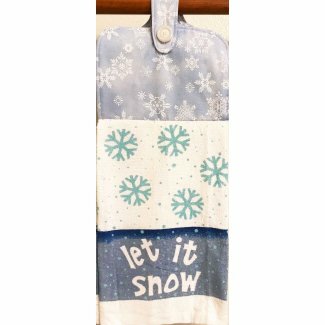 The hanging kitchen towel has the phrase, "Let It Snow," with gorgeous turquoise blue snowflakes. 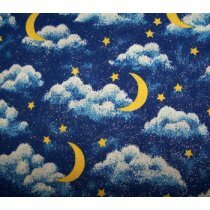 We used a winter snow scene print for the fabric top and this just could not be any cuter. 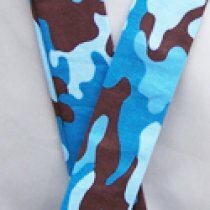 The full length towels are made using a lighter weight terry cloth. The button closure assures that your towel will not fall off. The towel measures 19 inches long. 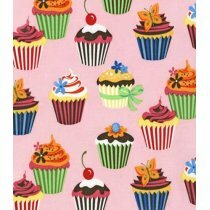 This oven door towel is perfect of decorating your kitchen during the winter and Christmas holiday season. It will be getting cold and the snow will begin to fall. 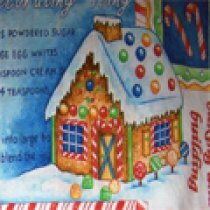 This winter and Christmas holiday oven door kitchen towel, was made using a lighter weight terry towel. The towel says, "let It Snow," with turquoise snowflakes. 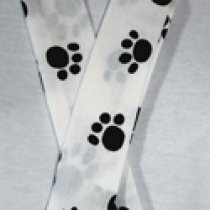 For the top, we chose a gorgeous snowflake print fabric. We use full length towels for our oven door towels and every oven door towel has a button closure. This assures that your oven door towel will be handy when you need it. 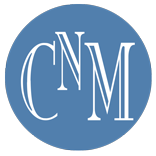 It is perfect for decorating your kitchen during the winter and Christmas holiday season. Towel measures 19 inches long. 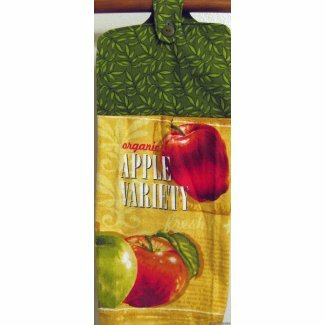 This organic apple variety oven door towel is unique, plus it would make a great addition to any kitchen. Perfect for the organic apple grower or for people who choose to eat only organic. The large organic apple sits in the upper right hand corner, while other apple varieties are included as well. The towel reads, "Organic Apple Variety fresh. We used a leaf print for the top. For all of our oven door towels, we chose to use full length towels and button closures. 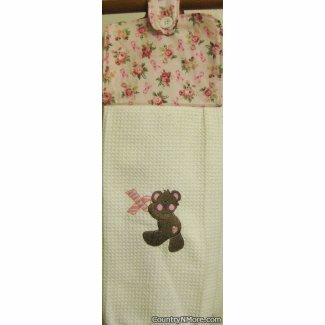 This unique one-of-a-kind oven door towel features a cute bear holding a pink and white ribbon. This oven door towel represents hope. 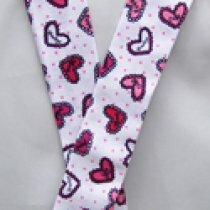 The variegated pink embroidery thread created the pink and white stripe ribbon. For the top, we used a pink ribbon and rose print fabric. We use full length towels for all of our oven door towels, and every oven door towel has a button closure. 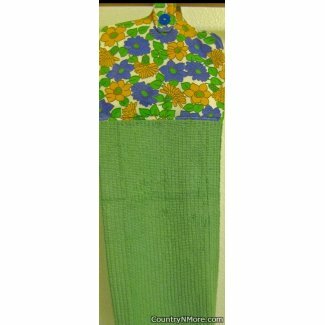 For the retro at heart, is this lovely orange and dark blue flower oven door towel. 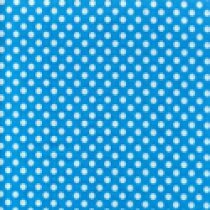 The picture depicts the blue as being light in color, but it is actually a dark blue. 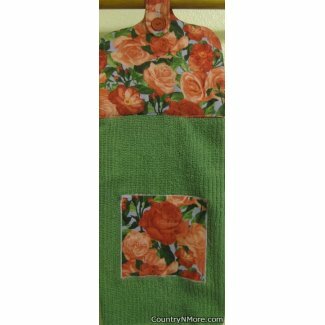 If you likeretro and bright colors, you will like this oven door towel This oven door towel was made using a super absorbent towel. Every oven door towelhas a button closure. 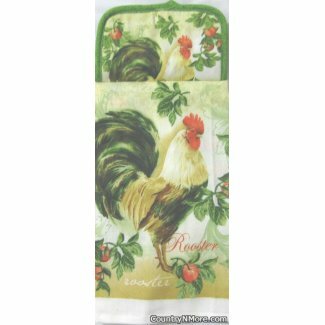 This country theme oven door towel focuses on the gorgeous rooster, who is standing proudly amongst the apple trees. The top of the oven door towel was made using a coordinating potholder. 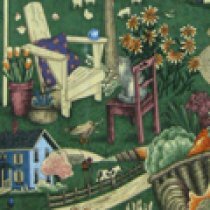 It is perfect for the country theme kitchen. Every oven door towel has a button closure. This limited edition oven door towel is made from a woven horse towel. The way that this hanging kitchen towel was stitched up gives the towel a fullness to the oven door towel. 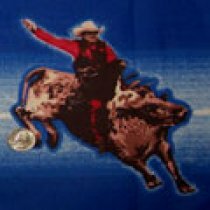 On each side of edge of the towel are different running horses, while in the center bottom of the towel has horses as well. 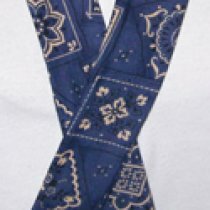 The top horse shoe print on the upper part fits perfectly with the country theme. 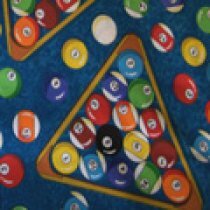 The button will vary from one to towel to another. The oven door towel measures 19 1/2" long. We use full length towels folded in half for our oven door towels, unlike other sellers who only use half a towel. We can smell it now. The smell of the sausage and cranberry stuffing cooking on Thanksgiving Day. You are getting two in one. 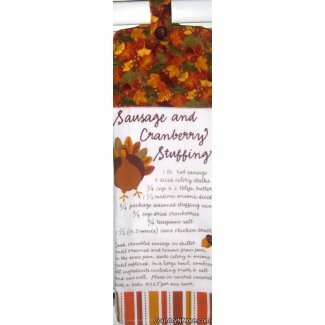 You get a recipe for sausage and cranberry stuffing and a nice oven door towel to decorate your home for the Fall season. 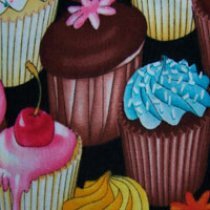 The recipe is on a flour sack kitchen tea towel. 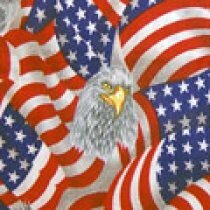 The bright colors on the print remind us of the gorgeous colors on the trees during the Fall season. This makes for a great combination. Every oven door towel has a button closure. 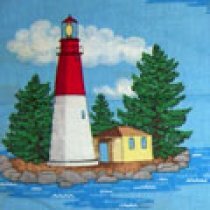 This beautiful Fall theme oven door towel is perfect for hanging in your kitchen during the Fall season. The fall leave design is woven into the waffle weave kitchen towel. The beautiful orange leaves offer a 3 dimensional look to the towel. For the top, we chose a Fall leaf, sunflower, and bird theme fabric. The bird seems to be sing a Song of Harvest Home. The colors in the fabric fit so well with the orange in the towel. We used a very high quality tea towel as well as a button closure. The button closure will keep your towel in place so that it will be there when you need it.